The centre of Hanoi is Hoan Kiem Lake and at the heart of Hanoi, adjacent to Hoan Kiem Lake, is the Hanoi Old Quarter, the 36 Streets of Trades that once served the Kings of Vietnam. Now they serve the needs of the international traveler. 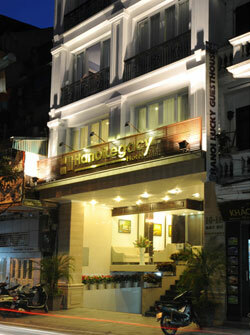 The recently opened Hanoi Legacy Hotel, located in Hang Bac in the Old Quarter, offers international standard facilities together with the friendly and courteous service that today's travelers expect. Hang Bac means 'silver', and the silver service of the Hanoi Legacy Hotel assures the traveler of a truly memorable stay as they explore the wonders of Hanoi and Vietnam. 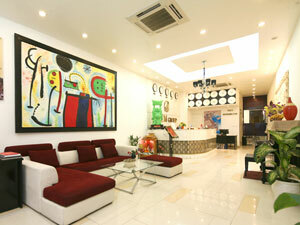 Whether traveling independently, or as a family with children, the Hanoi Legacy Hotel offers comfortable well appointed rooms, all with complimentary wireless internet. With access to the the best of Hanoi's licensed travel agents, travelers can experience the best that Hanoi and Vietnam has to offer for a very enjoyable stay. Airport transfers are also easily arranged, just ask when making your booking. The Hanoi Legacy Hotel - located in Hang Bac in the Hanoi Old Quarter- echoing the silver service of days gone past for a truly memorable stay!